Everyone who loves good cooking will feel good at Bistro Lubię in Gdańsk’s Ujeścisko district. It is located at ul. Warszawska 96 and welcomes guests with a cosy atmosphere and modern climate. 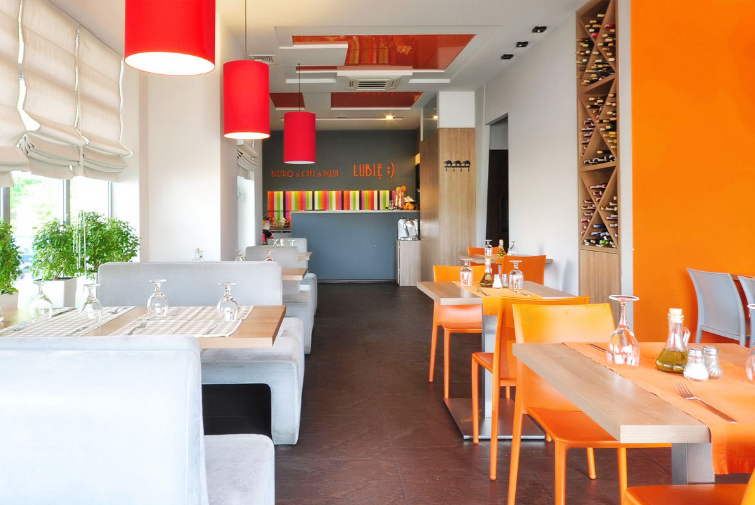 Due to the unique interior, comfortable rooms and friendly waiters, guests of Bistro Lubię are left satisfied, wanting to come back for more. The bistro organises events of various types and provides catering services, too. Customers can expect tasty food at good prices. The bistro also offers a delivery service – you can receive delivery of a hot meal within an hour of ordering it online at our portal. Bistro Lubię! accepts payment by credit card, including on delivery. All this is why you should order your food here – to enjoy promptly-served home-made and natural dishes from our rich menu, adapted to various preferences.